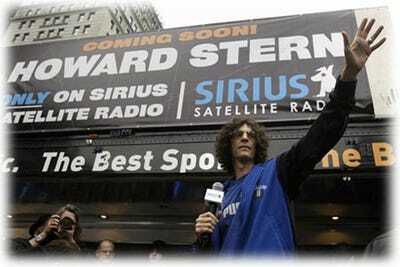 Sirius XM Radio (NASDAQ: SIRI) could soon experience what was at one time unimaginable. I’m referring to the potential of the company’s debt to be upgraded to investment grade, following Tuesday’s earnings release. The word “debt” appears thirteen times in the transcript, a clear indication of management’s desire to focus attention on its much improved capital structure. Sirius XM took on the bond bullies, and won. It was revealed that several large firms had taken large equity stakes in Sirius XM Radio, most notably Morgan Stanley which became SIRI’s fourth largest shareholder. Recently, the firm upgraded Sirius XM and brought to the table a discussion of a potential return of capital to SIRI investors. This became a focus of Tuesday’s call also. Looking at the capital structure of Sirius XM based on what we know, we can paint a clear picture of just what Morgan Stanley analyst, David Gober sees. The following chart is a snapshot of what Sirius XM’s debt maturity looked like less than one year ago, in April of 2010. A debt tower of $1.3 billion loomed ominously over the company (and its stock), at a time when auto sales remained weak and talk of a double dip recession topped the daily financial headlines. As you will see by the graphs that follow, it’s little wonder that institutions are now accumulating Sirius XM shares at a feverish rate. That was then, this is now. Not only has the 2013 debt tower been cut to a more manageable $824 million, we learned yesterday that Sirius XM has already repurchased $126 million of its 2011 convertible due in October, leaving just $104 million due between now and the middle of 2013. High interest secured debt has been replaced by unsecured debt at much lower rates, and pushed well into the future, where it is anticipated that the company’s cash flows of $1.5 billion annually will far exceed the maturity values. Sirius XM reported that as of December 31, 2010, it’s cash position stood at $587 million, alleviating any concerns relating to the current year’s debt maturity and providing a large cushion of cash to apply to the remaining 2013 debt. With the company already generating substantial free cash flow, capex reductions which will begin the fourth quarter of this year will provide Sirius XM with even more free cash flow to service its debt obligations. But what’s this about credit upgrades to investment grade? I’m glad you asked. Right in the middle of the chart above in 2014 is a $550 million, 7% convertible note, with a conversion price of $1.875. While the issue of whether the note holders would cash in now or later had been the subject of great debate last quarter, in the end, it doesn’t really matter. Whether the holders of those notes cash in now, or later, the same result is achieved. It represents $550 million of Sirius XM debt that will not have to be repaid. The simple truth of the matter is that as long as Sirius XM shares trade above $1.875, the holders will opt for an equity stake. What is Sirius XM’s adjusted EBITDA? At $600 million, 3X adjusted EBITDA comes in at $1.8 billion. That number is in-line with the debt due in 2015 and 2018 respectively. If you missed it, the company has just addressed its entire capital structure. The current 2011 debt is little more than a dinner check . There is no debt due in 2012, and there is the expectation that increases in free cash flow and cash on hand make the debt due in 2013 a non issue. The 2014 convertibles will take care of themselves, and the remaining debt will be refinanced at lower rates and pushed out to maintain modest leverage, when opportunities are presented.